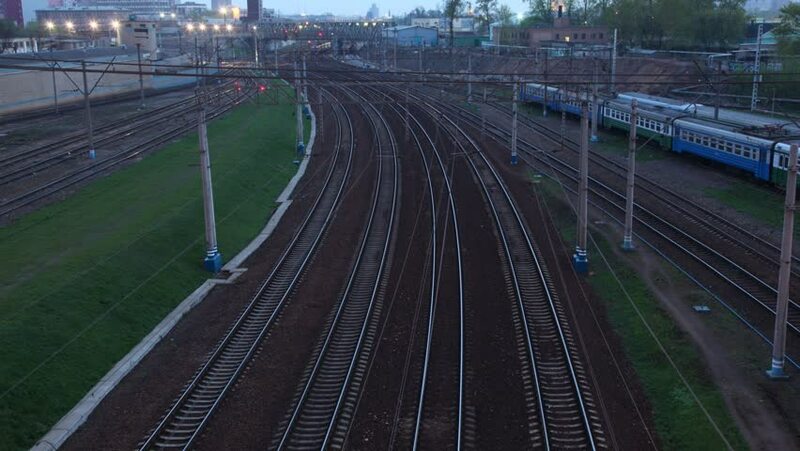 Electric trains moves on rails, springs evening. Time lapse. 4k00:18Weilbach, Germany - April 19, 2016: Approaching german highspeed train (ICE) on the Frankfurt-Cologne line. Beside the railroad track cars and truck on German Autobahn A3 nearby Wiesbadener Kreuz.